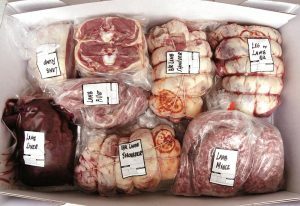 We will soon be taking orders for our pork and lamb. 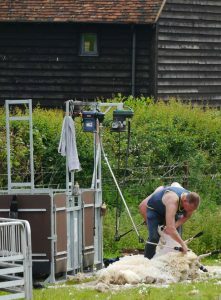 Keep an eye on our website or our Chess Valley Lamb Facebook page for details. 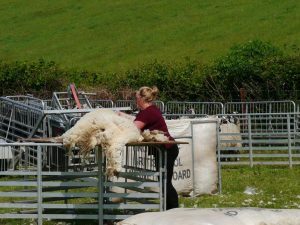 We were busy shearing last week. 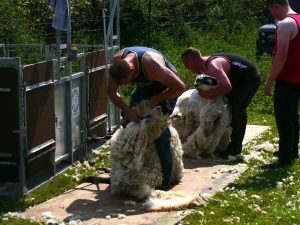 All of our ewes and rams can now enjoy the warm weather without their woolly jumpers! We are pleased to announce we have some new arrivals at Raans Farm. 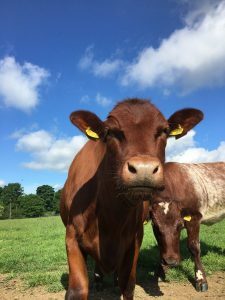 We now have a herd of seven pedigree Beef Shorthorn cattle, with one of our cows due to calf in September. We also have a new Oxford Sandy Black breeding boar called Bart who has settled in well with our sows. In fact he’s made himself quite at home and we will be expecting a few litters of piglets in the next few months. It’s going to be busy!